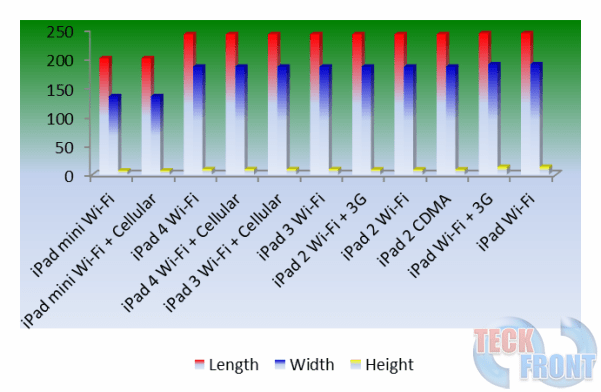 As per the data collected and tabulated for the 11 different versions of iPad, the Flagship of Apple iPad, it looks as if there is continuous improvement and/or at least change in the physical dimension (Length x Width x Height) measured in millimeter & inches, while the weight of the 11 versions of iPad is also available in (Grams & Ounces). 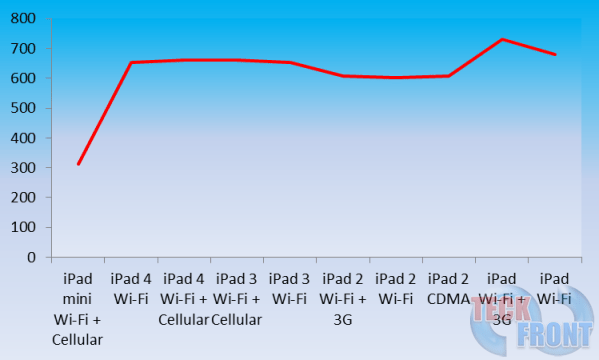 As the data is displayed graphically as well (see below the Table), the dimensions of the different versions of iPad are continuously decreasing, from iPad Wi-Fi, the initial offer, to the iPad mini. 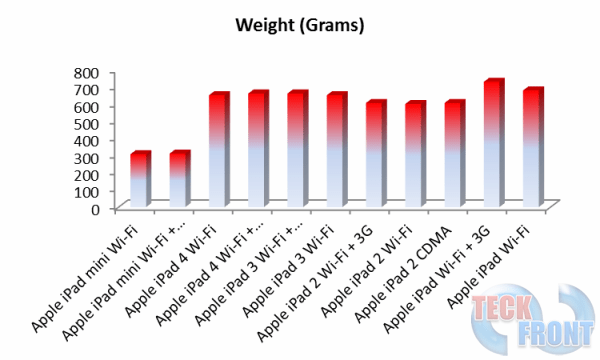 Similarly, there is continuous decrease in the weight of the iPads, starting from the iPad to Ipad Mini.